Welcome to the regular January 2019 issues of Betterbaking.com. I hope you’ve all had a wonderful holiday and are easing into January with a sense of serenity, optimism and an appetite for a brand new year of baking adventures. I thought about all the things I could say in this issue: about the trends in food: avocado is still in, coconut oil on the wan, fermented and smoked foods are in, exotic vegetables, state-of-the-art meat replacements, lab-grown food, flavored kombuchas, good fats, keto, Paleo/yes still!, Pacific rim flavors, organic and ‘green’foods, mock tails, meal-delivery services, tea-time spots with Eccles Cakes and organic teas, sourdough bread to name a few. Then there’s the wellness trend (eat well, sleep well and get enough of it, be social-but-not-online, self-compassion, meditation, mindfulness, physical movement (a no brainer), adequate water and avoid too much current affairs/news and all toxins or inflammatory substances (people, cigarette smoke, processed foods, fast foods). Also, still in: aromatherapy which can be a mist of lavender essential oil or the scent of a banana bread, fresh from the oven. The lifestyle trend seems to be about the power of changing habits in lieu of making New Year’s resolutions. (I made one New Year’s resolution last year and failed miserably; this year I am setting ‘intentions’ which is kinder, gentler and more do-able). The head’s up on changing habits is that rather than try and lose 30 lbs. one should behave in the way a healthy eater behaves and that alone should result in natural weight loss. At the least, this is far less daunting. Such small changes, done one at a time, over time and done consistently, (eating well and eating when hungry) should result in sustainable lifestyle change and weight loss. Re weight and diets, the good news (which is old news) is that healthy eating (good food and eating when you’re hungry and only until you’re nicely full) will result in weight loss. It may not be the weight loss number you’re fixated on but the body, barring any other health issues and a chronic lack of sleep (really, the keystone of everything else), should find its natural set point. Add moderate exercise to this, adequate sleep and hydrate. Given that the weight loss industry is 64 billion dollars and has a 99.8% failure rate it’s not unreasonable to give ‘natural’ weight loss a try. Each monthly issue of Betterbaking.com, I get overwhelmed with what I want to showcase in recipes. For instance, this month I wanted to share my recipe for Eccles Cakes, having had them in a tea shop recently. They were spectacular (the ones I had and the ones I baked up). But I thought about it and I realized: probably people aren’t keen to make pastry and raisins (which are in Eccles Cakes filling) don’t seem that popular lately. In the end I curate what I think are recipe pearls. 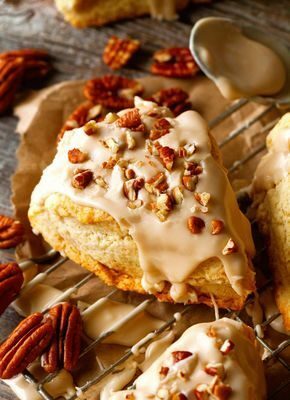 The Maple Scones are because so many of you love scones. The blueberry biscotti came about when I defrosted my freezer and discovered a motherlode of wild blueberries that will never make it to a smoothie. The Garlic Herb Biscuits are because I love biscuits and savoury baking and last, the Everything Challah is because who doesn’t love fresh bread, a new challah recipe and mashing up ‘everything’ bagel topping onto a true-blue challah? I tend to bake grainier things for myself and if you like that as well as I do, I’ll be sure to feature more recipes of this ilk. Lately I’m leaning towards organic flours and have ordered a grain mill just to see what freshly milled wheat is like. You only go around once so why not? The Newish Jewish Cookbook is still in production but we’re getting closer. So close that I’m even thinking ahead to a next cookbook. What say you? How about a great, big Jewish baking book replete with more cheesecake, rugelach, babka, challah, rye breads and coffee cakes (all different from my first Jewish baking book)? Or a ‘Best of Betterbaking.com, Part Two? Since I published The New Best of Betterbaking.com in 2007, I’ve amassed so many more cookies, cakes, scones, biscotti, coffee cakes, biscuits and pizzas; I’d love to put them in a book. I could do a book on Just Breads or Just Cakes. I’m happy to hear your thoughts.